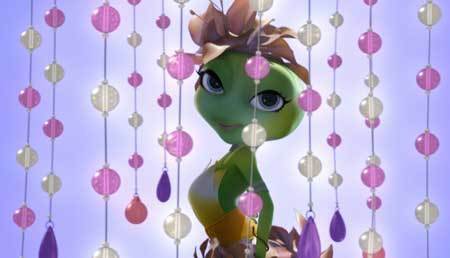 When The Frog King (Keith David) announces that the winner of the Froglympics will win his daughter’s hand in marriage, Princess Froglegs (Bella Thorne) runs away instead. Disguised as a commoner, the Princess befriends street vendor, Freddie (Cameron Dallas), and begins training with him for the games—determined that she will win and thwart her father’s plans of marriage. Meanwhile, the villainous serpent has ideas of his own to ruin the Froglympics and take over the kingdom. With a little luck, and a little help from their trusty sidekick Captain One-Eye (Rob Schneider), Freddie and Princess Froglegs set out to save Frog Kingdom from the evil serpent. 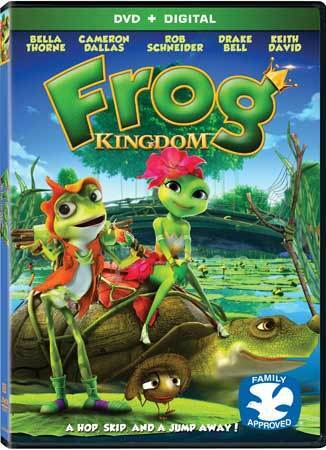 Frog Kingdom arrives on DVD June 30th!